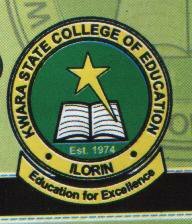 Applications are invited from suitably qualified candidates for admission into the Kwara State College of Education, Ilorin (KWCOE) Pre-NCE programmes for the 2018/2019 academic session. Those who have “O” level results but did not sit for UTME. Those who have “O” level results, sat for the UTME and did not make the admission cut-off marks. Those preparing for “O” level and UTME. Holders of SSCE/NECO etc with 3 credits and 2 passes including English Language in not more than two sittings, 2 of these credits must be in the relevant areas. Holders of the Senior Islamic Religious Studies (S.I.S) Certificate in Arabic and Islamic Studies from recognized institutions who have not less than 3 credits and 2 passes including English at or more than two sittings, 2 of these credits must be in the relevant areas. Holders of diploma or certificate in Christian Religious is Studies with not less than 3 credits/merits and at least two passes including English at not more than two sittings. Objective: To assist prospective students qualify for admission into the institution or even the University of choice. Modality: Prospective candidates would undergo intensive and purposeful training with the main focus of attaining their goals (depending on the need). They are also required to sit and pass the Joint Admissions and Matriculation Board (JAMB) entrance examinations (UTME) and obtain scores within the minimum cut-off points before gaining admission into Institution of their choice. Fees: Pay the sum of N2,000.00 only as registration fee into the College designated portal. Hostel accommodation for interested students (male and female). FOR FURTHER INFORMATION, CONTACT THE FOLLOWING NUMBERS: 08035019211, 08035856765, 08036517718, 08068910556 or visit the College Admission unit of the Registry Department between 8:00am – 5:00pm each day.